I've been keeping quick notes in text files stored in Dropbox so how could I edit them without login on Dropbox, downloading them, editing them and then uploading them again? 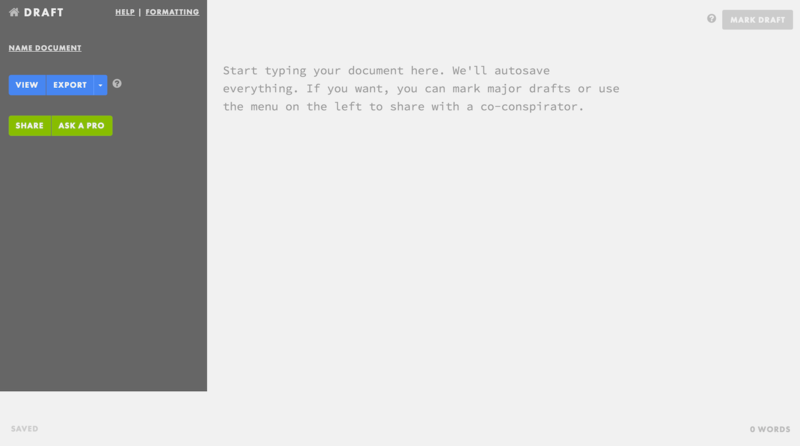 Luckily, I've found an excellent new service for that, Draft http://bit.ly/draftincom It combines a clear interface focused on writing, #MarkDown support for formatting and connections to #Dropbox , Google Drive, Evernote and Box. Any change on the document is automatically saved back to the service it originated. 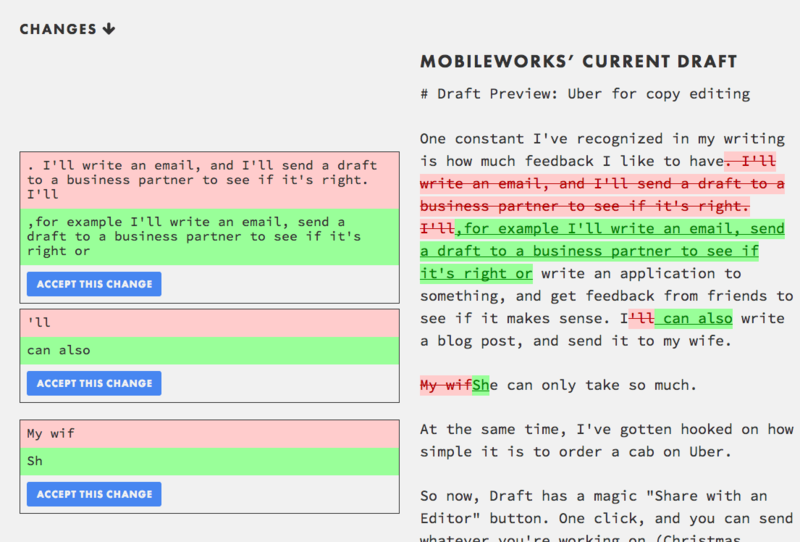 On top of that, you can keep multiple versions of your documents for reviewing what you wrote. And on top of that, you can share a document to let others edit your document. #Draft will give you an overview of the changes and the option to reject any edits you don't like. Draft is a free service with a premium service for professional editing of your work. 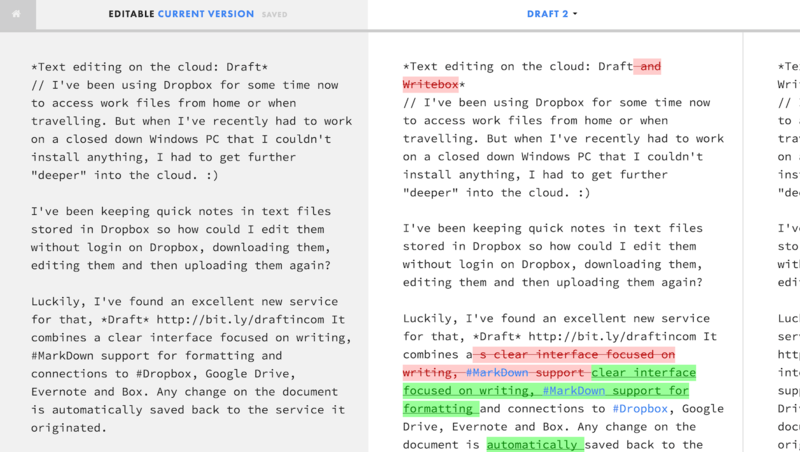 In case you don't like Draft for some reason, check out also Writebox http://bit.ly/writebox which offers a simple text editing experience (so simple, you don't even need to open an account) and connections to Dropbox and Google Drive. No collaboration features though. If you know of another similar service please share it in the comments. This entry was posted on Sunday, March 17th, 2013 at 2:15 pm	and is filed under Productivity, Technology. « « Previous: Blog redesigned – comments?